PLEASE! If you see any mistakes, I'm 100% sure that I have wrongly identified some birds. The Asian koel (Eudynamys scolopaceus) is a member of the cuckoo order of birds, the Cuculiformes. It is found in the Indian Subcontinent, China, and Southeast Asia. It forms a superspecies with the closely related black-billed and Pacific koels which are sometimes treated as subspecies. 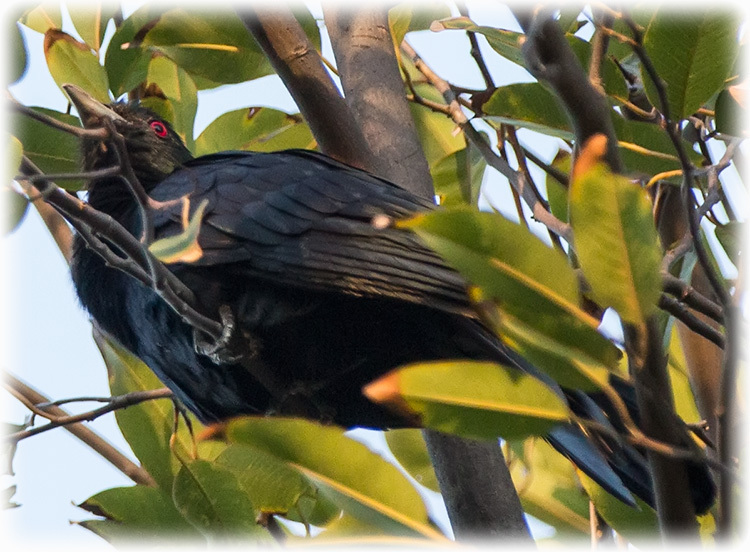 The Asian koel is a brood parasite that lays its eggs in the nests of crows and other hosts, who raise its young. They are unusual among the cuckoos in being largely frugivorous as adults. 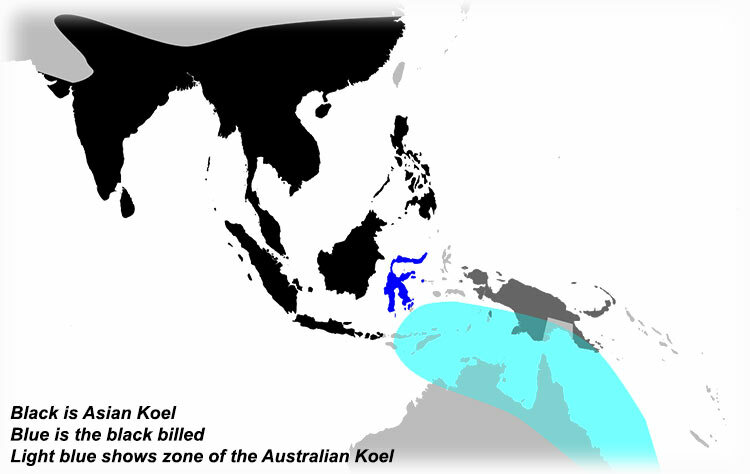 The name koel is echoic in origin with several language variants. The bird is a widely used symbol in Indian poetry. 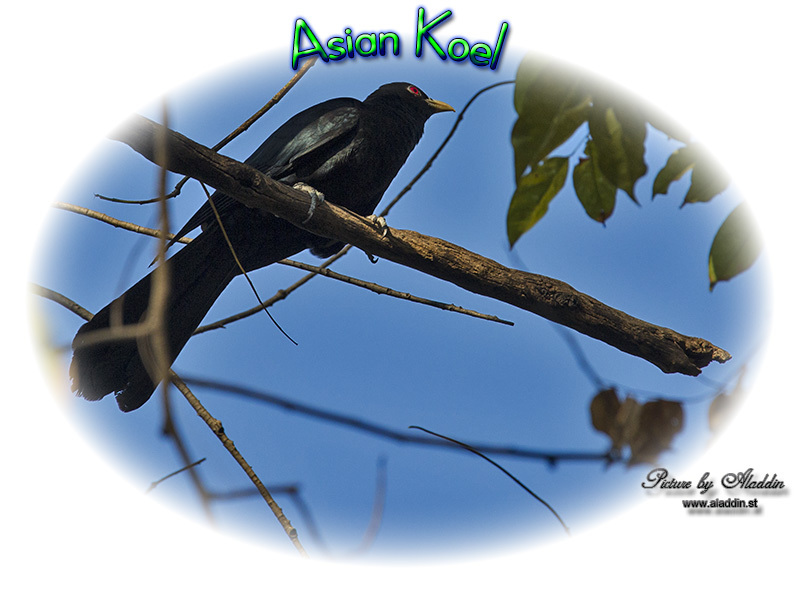 The Asian koel is a bird of light woodland and cultivation. It is a mainly resident breeder in tropical southern Asia from India, Bangladesh and Sri Lanka to southern China and the Greater Sundas. They have great potential in colonizing new areas, and were among the pioneer birds to colonize the volcanic island of Krakatau. They first arrived in Singapore in the 1980s and became very common birds. 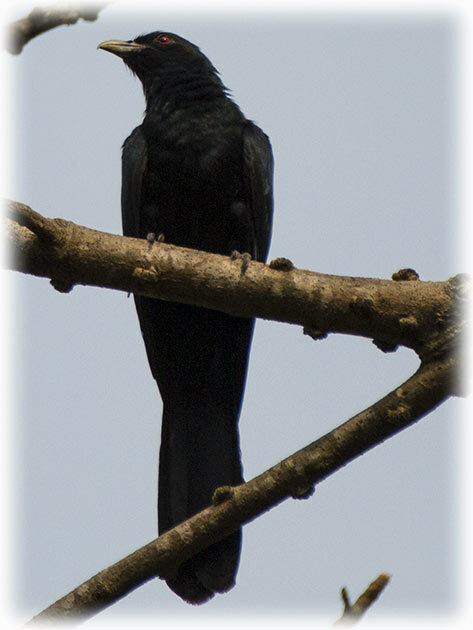 The Asian koel is a large, long-tailed, cuckoo measuring 39–46 cm and weighing 190–327 g. The male of the nominate race is glossy bluish-black, with a pale greenish grey bill, the iris is crimson, and it has grey legs and feet. The female of the nominate race is brownish on the crown and has rufous streaks on the head. The back, rump and wing coverts are dark brown with white and buff spots. The underparts are whitish, but is heavily striped. The other subspecies differ in colouration and size. The upper plumage of young birds is more like that of the male and they have a black beak. They are very vocal during the breeding season (March to August in the Indian Subcontinent), with a range of different calls. The familiar song of the male is a repeated koo-Ooo. The female makes a shrill kik-kik-kik... call. Calls vary across populations. Starting node in response to earlier uploaded song from male. 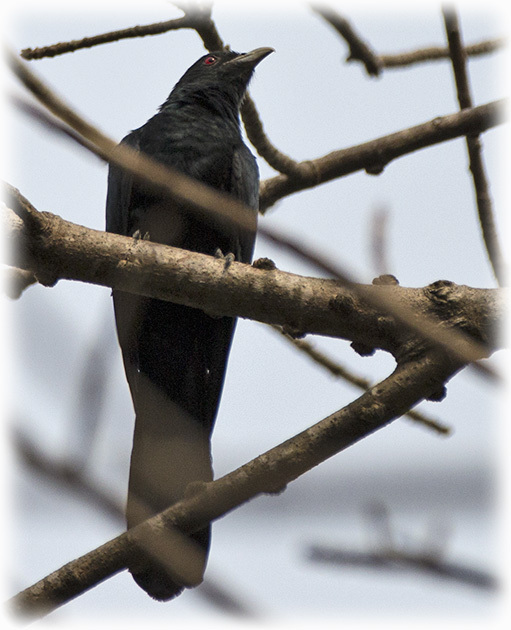 The Asian koel was originally described by Linnaeus as Cuculus scolopaceus based on a specimen he received from the Malabar region. 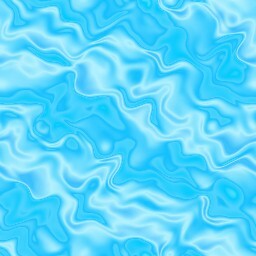 The species has variations within its wide range with several island populations and a number of taxonomic variations have been suggested. 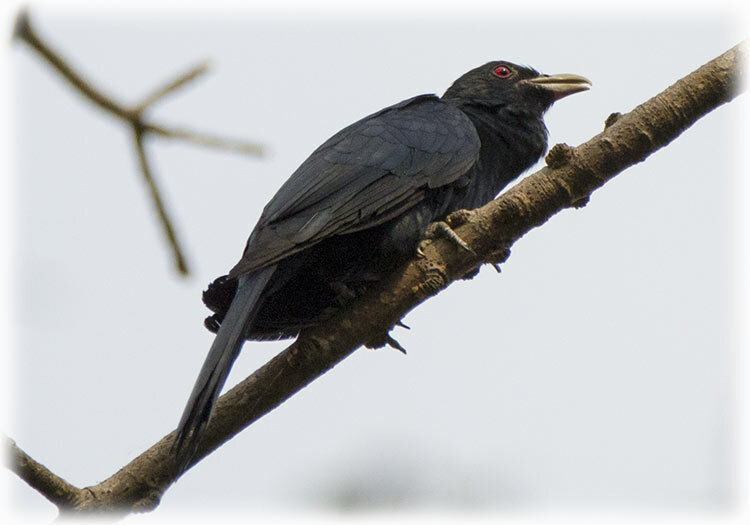 The black-billed koel (E. melanorhynchus) of the Sulawesi region and the Pacific koel of Australasia are sometimes considered conspecific with the Asian koel in which case the "combined" species is known as the common koel. Due to differences in plumage, colour of bill and voice, the three are increasingly treated as separate species. 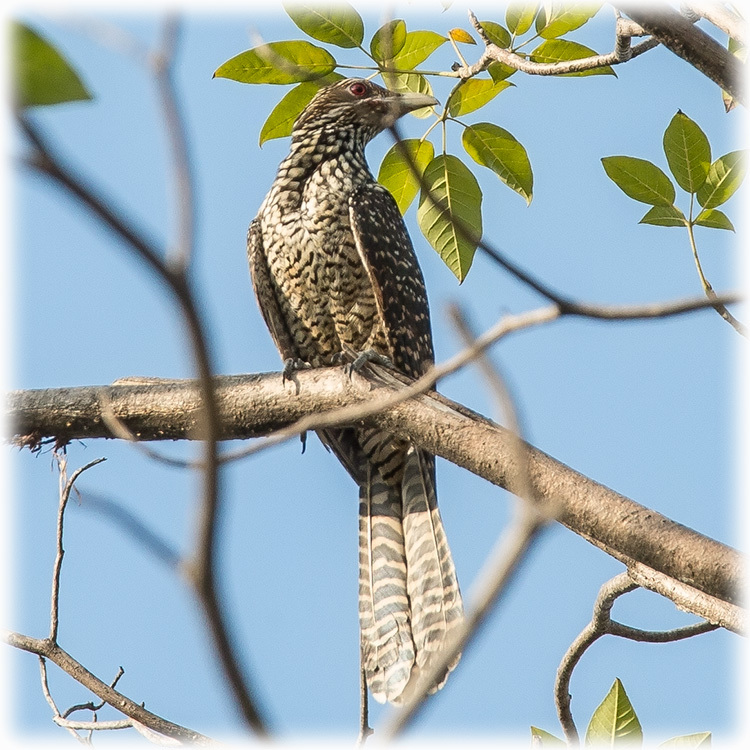 Alternatively, only the black-billed koel has been considered as a separate species, or the Asian koel has included all subspecies otherwise included in the Pacific koel, except for the subspecies breeding in Australia, which then has the name Australian koel (E. cyanocephalus). • Eudynamys scolopaceus scolopaceus (Linnaeus, 1758). Pakistan, India, Nepal, Bangladesh, Sri Lanka, Laccadives and Maldives. • Eudynamys scolopaceus chinensis (Cabanis and Heine, 1863). Southern China and Indochina, except the Thai-Malay Peninsula. • Eudynamys scolopaceus harterti (Ingram, 1912). Hainan. • Eudynamys scolopaceus malayana (Cabanis and Heine, 1863). Thai-Malay Peninsula, Lesser Sundas and Greater Sundas, except Sulawesi. This may include the race dolosa described from the Andaman and Nicobar Islands. • Eudynamys scolopaceus mindanensis (Linnaeus, 1766) (includes E. s. paraguena) (Hachisuka, 1934) from Palawan, and E. s. corvina (Stresemann, 1931) from Halmahera, the Philippines (including Palawan and the Babuyan Islands), islands between Mindanao and Sulawesi, and North Maluku, except the Sula Islands. 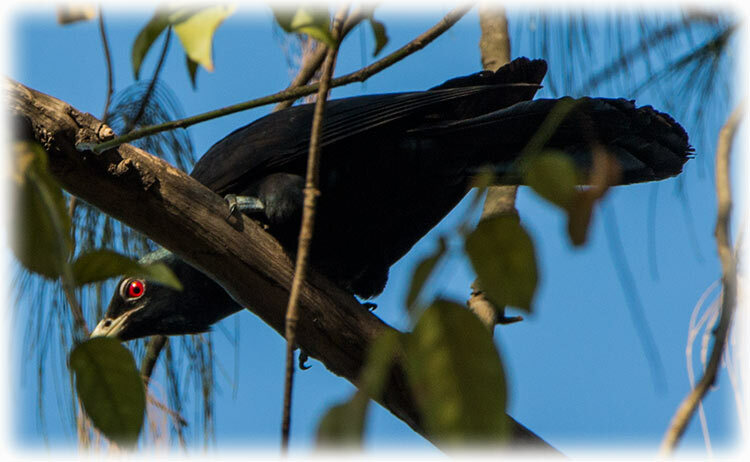 In Bangladesh, they parasitise long-tailed shrike (Lanius schach), common myna (Acridotheres tristis) and house crows (Corvus splendens) at about 35.7, 31.2 and 10.8% rates respectively. Host nests at low heights and nearer to fruit trees tended to preferred by koels. 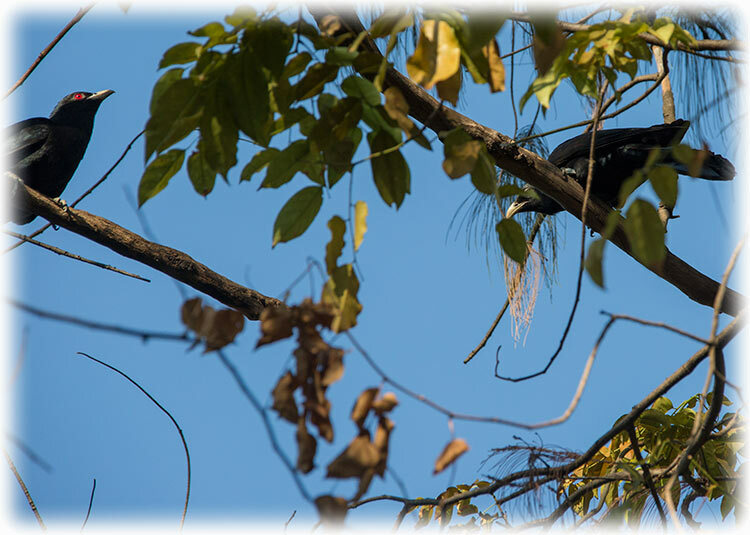 In southern Thailand and the Malay Peninsula, koels have shifted host from crows to mynas (Acridotheres sp.) as the latter became more common in the late 1900s. In the Indian Subcontinent they have sometimes been found to parasitize the black drongo, the European Magpie and possibly the black-headed oriole. Males may distract the hosts so that the female gets a chance to lay an egg in the nest. More often however, the female visits the nest of the host alone. 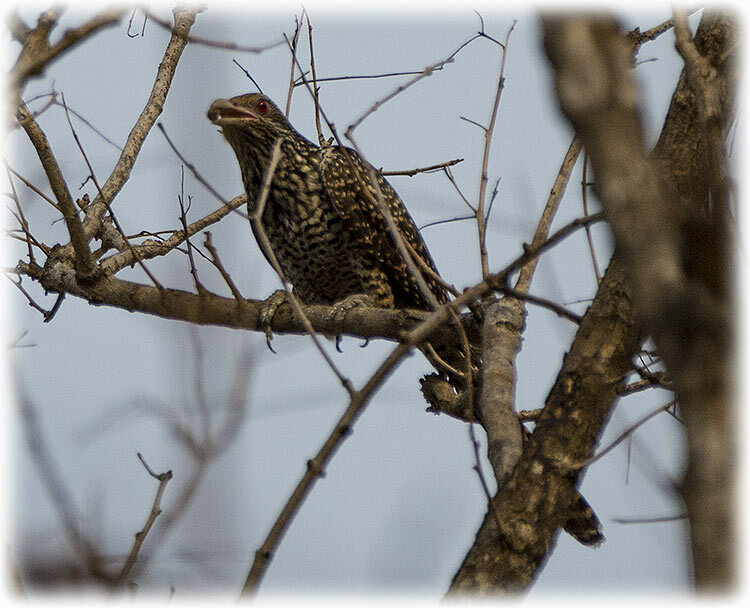 The koel is not known to lay eggs in an empty host nest and a study in Pakistan found that the first koel eggs were laid, on average, within one and half days of the laying of the host's first egg. The chicks of the koel hatched about 3 days ahead of the host chicks. Koels usually lay only an egg or two in a single nest but as many as seven to eleven eggs have been reported from some host nests. A female may remove a host egg before laying. Eggs hatch in 12 to 14 days. 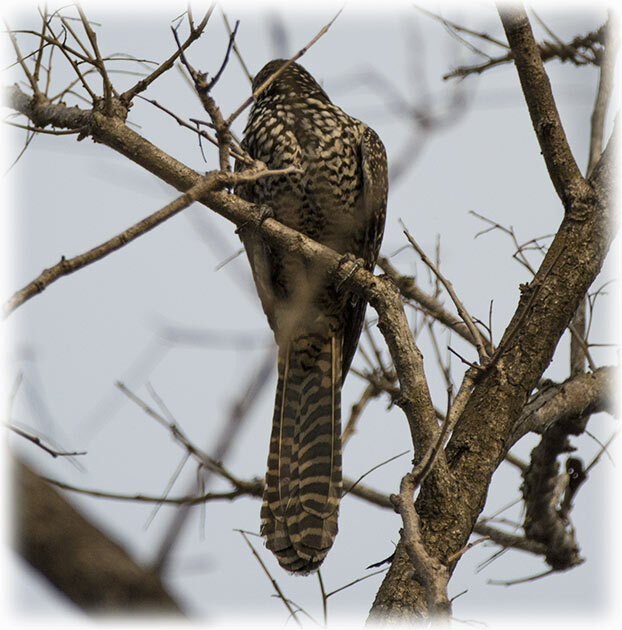 The young koel does not always push out eggs or evict the host chicks, and initially calls like a crow. The young fledge in 20 to 28 days. Unlike some other cuckoos, the young do not attempt to kill the host chicks, a trait that is shared with the channel-billed cuckoos which are also largely frugivorous as adults. It has been suggested that koels, like some other brood parasites do not evict the host chicks due presumably due to the higher cost of evicting nestmates. A small parasite may not be able to evict large host eggs or chicks from a deep Corvid nest without risking starvation and possibly accidental self-eviction. 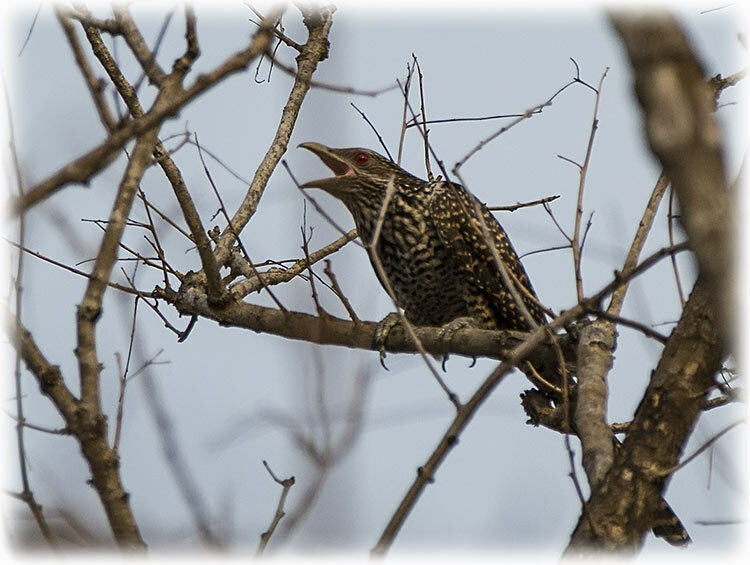 An alternate hypothesis that retaining host chicks might benefit the koel chicks did not gain much support. Adult female parents have been known to feed young koels in the nests of the hosts, a behaviour seen in some other brood parasitic species as well. Adult males have however not been noted to feed fledglings. The Asian koel is omnivorous, consuming a variety of insects, caterpillars, eggs and small vertebrates. Adults feed mainly on fruit. They will sometimes defend fruiting trees that they forage in and chase away other frugivores. They have been noted to be especially important in the dispersal of the sandalwood tree (Santalum album) in India. Large seeded fruits are sometimes quickly regurgitated near the parent tree while small seeded fruits are ingested and are likely to be deposited at greater distances from the parent tree. They have a large gape and are capable of swallowing large fruits including the hard fruit of palms such as Arenga and Livistona. They have been known to occasionally take eggs of small birds. 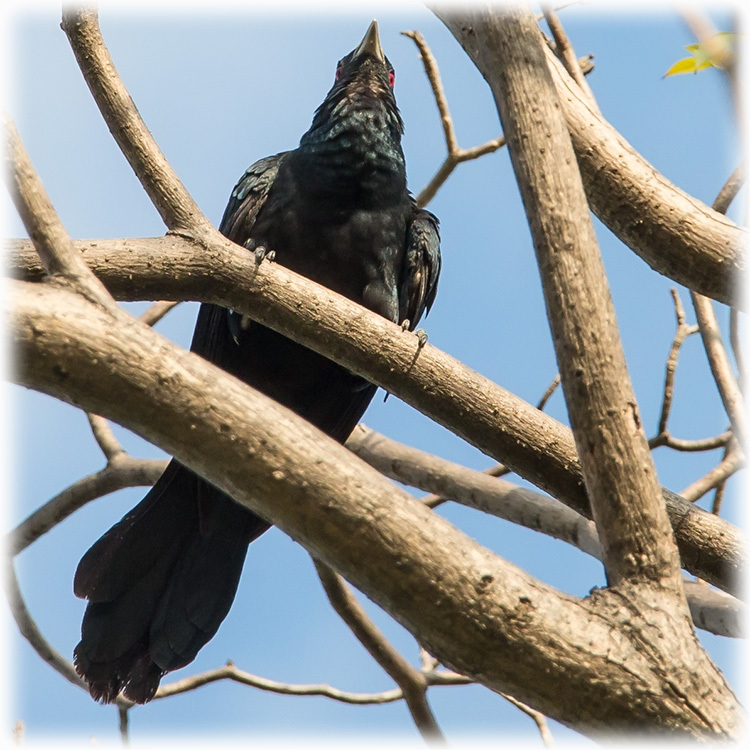 The word "koel" is onomatopoeic in origin. The Sanskrit root is "Kokila" and the words in various Indian languages are similar. Being familiar birds with loud calls, references to them are common in folklore, myth and poetry. It is traditionally held in high regard for its song and revered in the Manusmriti, an ancient decree protecting them from harm. The Vedas, Sanskrit literature dated to about 2000 BC referred to it as Anya-Vapa which has been translated as "that which was raised by others" (or "sown for others to reap". This has been interpreted as the earliest knowledge of brood parasitism. It has been chosen as the state bird by the Indian union territory of Puducherry. Here is a video I took at FRIM, Kuala Lumpur 25 June 2017 - Several males in a tree, fighting? IUCN Red List of Threatened Species. Version 2013.2.
International Union for Conservation of Nature. Retrieved 26 November 2013. Visit Nick Upton at www.thaibirding.com for HOT birding tips for sites around Bangkok and Thailand. There are reviews of the birding sites with maps and information. 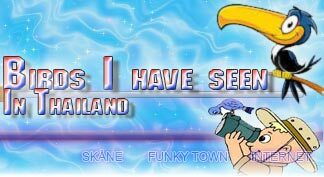 And if you like Nick Upton's web page you will also like www.norththailandbirding.com I have used this page together with Nick Upton's page when planning my birding tours. Excellent reviews and information about the birding sites. PLEASE! As I'm a first time birdwatcher bear in mind that some of the bird can be wrongly named. I have bought book and I confirm on the internet to get the right identity on the birds I take pictures off. But there can still be mistakes.